An opportunity to join a fast growing team as this small studio evolves. 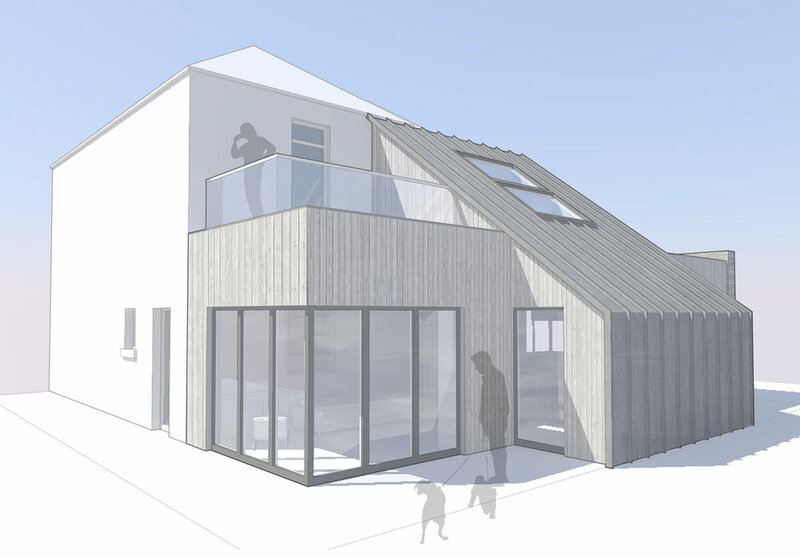 Douglas Strachan Architect is a thriving Architectural studio based in Dalkeith, just outside Edinburgh. Our outlook is based on providing high quality design to help people improve their environments; on domestic projects, small developments, and through our work with communities. Our approach is based on a collaborative studio atmosphere and a friendly and straightforward service. We are involved in an increasingly diverse range of projects and our team continues to evolve to deliver these. As a small design-led studio, members of our team are involved throughout the project lifecycle. Their skills are complementary, enabling collaboration and individual professional development. Whilst the practice has established itself through high quality domestic projects, our workload continues to diversify. In order for the practice to continue evolving, we are therefore keen to add people with experience of delivering non-domestic projects. This is likely to be either a qualified Architect or an Architectural Technologist. Essential to any new team member will of course be the appropriate qualification, as well as proficiency in AutoCad, SketchUp and Photoshop. It is important to share our passion for design and its communication, both graphically and in terms of helping clients through the design decision-making process. This would be substantiated with technical and contractual knowledge, in order to take projects through statutory consents and construction. Prior experience of doing so in-practice will be highly relevant to our consideration of applicants. If you have the appropriate experience and skills and outlook, then we would love to hear from you with some examples of your work. An indication of availability to start, part-time or full-time availability and salary expectations would also be appreciated. Many thanks to all of our friends and followers, clients and contractors, for making 2017 such a fantastic year for the practice. We would like to wish you all a Merry Christmas and all the very best for 2018. "The extension appears as an unashamed contemporary addition in its own right, the modern design and finish of which add to the architectural interest of the house. The development does not have a significant impact on the amenity of neighbouring properties. For these reasons the development complies with the aims of policy DEV 2 of the adopted 2017 Midlothian Local Development Plan." Having consolidated our team in 2016, we were delighted to welcome John in 2017, following his graduation from Edinburgh Napier University with the class medal in Architectural Technology. John's technical training has complemented the rest of the team's skills brilliantly, bringing the staff complement up to five in time four our fifth birthday. To celebrate our fifth birthday, we were pleased to exhibit at the Edinburgh Home Building and Renovating Show in October. We took this opportunity to showcase some of our favourite projects, including the Upside Down House and Futureproof Conversion. 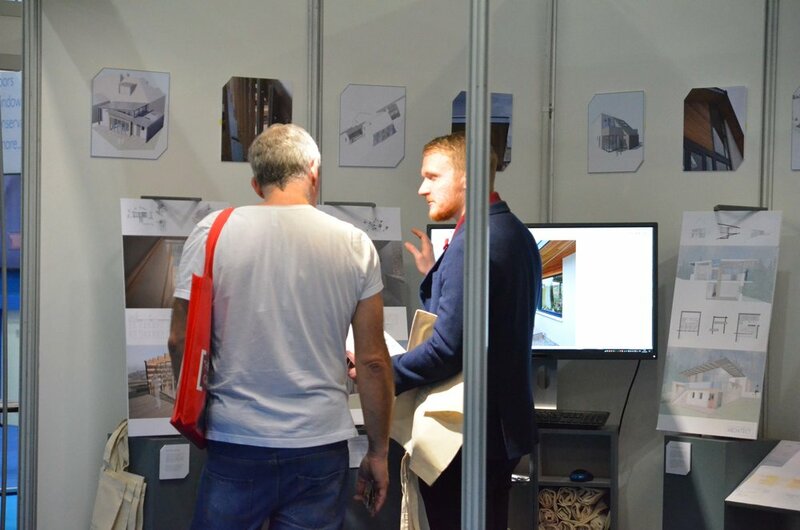 We had a great time speaking to people who are interested in Self Build and this has led to some exciting new projects for us to take forward in 2018. In the new year we look forward to some of the projects we have on the drawing board moving onto the construction phase, as well as tackling lots of new challenges. If you have a project you'd like to discuss, why not get in touch? It goes without saying that Architects love buildings, and the built environment more generally. The Architecture of every age has distinctive characteristics and it is fantastic to see good examples of these protected by giving them Listed Building status. We are looking forward to celebrating the practice's fifth anniversary with a stand at the Edinburgh Home Building and Renovating Show on 21-22 October 2017. This will be an opportunity to showcase our portfolio of bespoke designs and to talk to self-build clients about the bespoke service we offer. We are delighted to be participating in Architect in the Hoose for another year. This RIAS scheme gives people an hour-long consultation with an Architect for a nominal donation to charity. We've been part of this since it started and have found it to be a great way for clients to get past the initial apprehension about approaching an Architect. In previous years, this has given some clients the confidence to go ahead with the project, and it has been nice to see these come to fruition. If you know someone who's thinking of making changes to their home, please let them know about it. Making changes to an existing property or developing a site for a new home can get you everything you need and prevent you from settling for the best-fit available. This is all achieved with the use of good design using the right team. An Architect begins with an informal chat to discuss your needs and establish the budget, and can advise on other constraints. Following a survey, designs are then developed to meet these, and to match your taste. The Architect takes care of all the permissions required for the development. The appearance of the proposals is agreed with you, before submitting a planning application to get local authority approval. The Architect then produces information to demonstrate compliance with the relevant technical standards, in application for a building warrant. Going from design to construction is much less daunting with the help of a professional, ensuring that contractors have the information they need to calculate costs and to construct the proposals. The Architect helps you to decide on which contractor to use and maintains a presence during construction to keep you informed, advise on payment, and help the contractor with technical details to keep standards high. An extension to a family home in a Conservation Area. I was born in Penicuik, and, like many kids, enjoyed creating my own world with Lego. Growing up, my imagination was captured by disused industrial and agricultural buildings. I remember playing in them (before health and safety) and imagining what they could become. One such building was converted into an Architect's office in time for my school's work experience week, and my fate was sealed! I studied in Edinburgh, where I developed my interest in how people influence their surroundings. It is also a great place to help people with making improvements to their homes, many of which are listed or in conservation areas. There is a great satisfaction in seeing a building get a new lease of life and ensuring it better meets the demands of modern living. I live in Dalkeith, where my wife and I are raising a family. I chose to set up my office locally to be close to home and contribute to the community. I have therefore been active in local social enterprises to address the need for community facilities. I remain passionate about the re-use of existing buildings and enjoy helping people to improve, renovate and regenerate their homes. When families get together over Christmas, they get a concentrated view of how well their homes meet their needs. This makes it a great time to reflect on the demands of modern family living. Whilst every project is unique, this is a recurrent theme. It is a privilidge to meet and get to know so many families in their homes. In order to help, it is important to understand how they live and what their needs are. Embracing and reflecting the individual characteristics of each family is critical to the success of any design, but there is, of course, some commonality between projects. Recognising this, is recognising that family life is changing. One notable example is a change in emphasis towards the Kitchen. Many existing houses include only a small preparation room, or Scullery, with a separate dining space. Modern families spend time in the Kitchen; cooking, eating and relaxing there. This requires it to be larger and more open to other spaces. This project featured an enlarged family kitchen and an improved connection with the garden. There is an increasing desire for houses to include multiple living spaces and for these to connect with each other, including with the garden. It is now more common for children to have separate rooms and for families to have multiple bathrooms. As expectations of comfort levels increase, energy efficiency becomes paramount, and our aging population makes future-proofing eminently important. All of the above are the result of incremental socio-economic changes, especially in the twentieth century. It is therefore logical for older properties to require upgrades to remain in use, and this is particularly relavent to listed buildings. Remarkably, many homes currently being built by house-builders also fail to meet the demands of modern living. Fortunately they are generally quite easy to make alterations to, with the help of a friendly Architect! We would like to wish everyone a very merry Christmas and all the very best for the new year. 2014 has been another great year for us and we are very much looking forward to progressing all of our projects in 2015, as well as embracing all the new opportunities we hope the new year will bring. Extend and save... Are you making the most of your property? 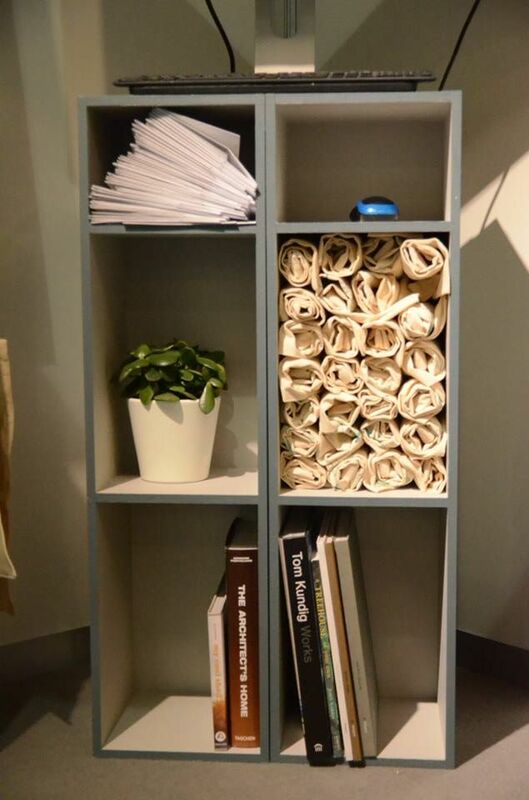 Changing or adding to your home can often give you the extra space you need and save you money. Local architects are uniquely placed to help with this process. Gordon joins the team in time for our 2nd birthday! We were delighted to welcome Gordon Brown to our growing team in September. He brings a rich experience of both Architecture and Construction Management, having worked on both sides of the industry. This enhances our commitment to providing a friendly and straightforward service throughout the whole process of design and construction. Gordon also shares our passion for community-based design, and will be extending our existing involvement in this field to include his home town of Penicuik. This addition to the team comes in time to celebrate two years as a local practice in Dalkeith. Our High Street office, overlooking the Buccleugh, has become a centre of collaboration for Architecture and the other designers working here. Gordon now joins us in this, and we look forward to building on these and many many other relationships for our mutual benefit and for that of our clients.